When we were in Charleston we were told left and right that it's known as the Holy City (fact of the day for those of you who didn't know that-you can sleep better at night now...) I, however, would like to rename it to Holy Humidity City. I have never experienced humidity quite like it in my life...it was SOMETHING ELSE! Have no fear, the humidity didn't really stop us from doing anything and you could catch a good breeze/shade in some areas, it just sort of destroyed any chance I had with having a good hair day. Those days were definitely non-existent, which is why you see many pictures of Billy and not a lot of pictures of myself. He's better looking anyways. Let's get into the specifics...where we stayed...what we did...where we ate (more like where DIDN'T we eat). You know, all the good stuff that make up travel posts. 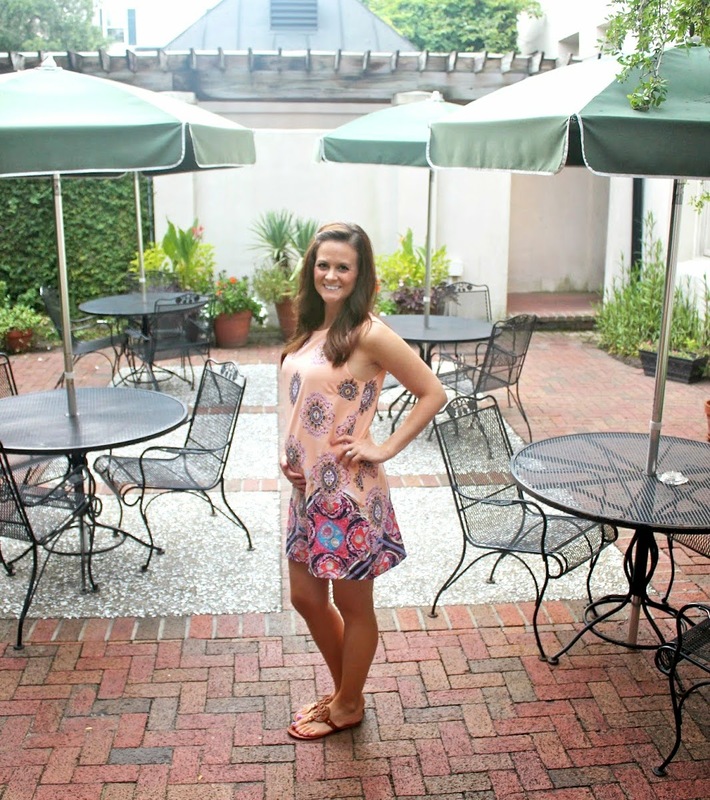 Let's all just mentally take a trip to Charleston for the next 5 minutes or so during my post and pretend we're there.. In the heart of downtown, at Kings Courtyard Inn. You know what they say...location, location, location. 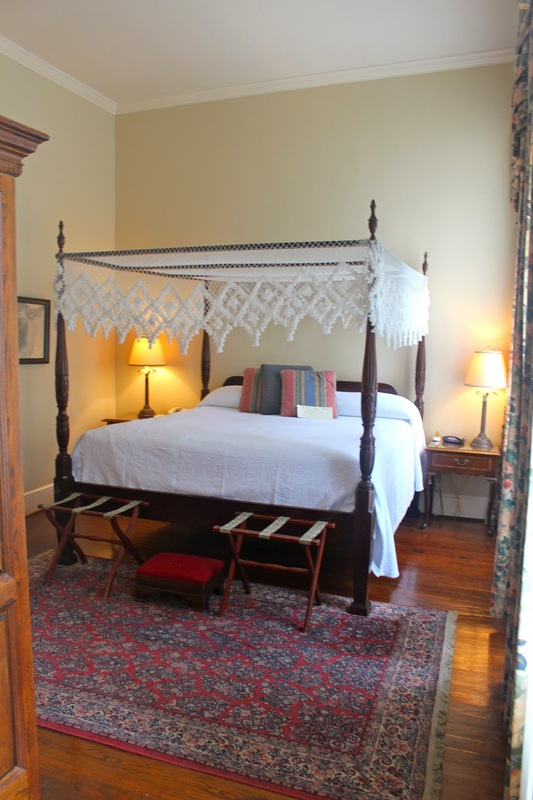 Kings Courtyard is a historic bed and breakfast in the center of everything downtown. It's literally on Kings Street (all the shopping you'd ever want), next to all the great restaurants (Husk, 82 Queen, Poogan's Porch, Toast...to name a few) and City Market, and has beautiful rooms and amenities. We absolutely loved staying here (Rocky included-it's pet friendly!) as we could literally walk anywhere in a short amount of time. 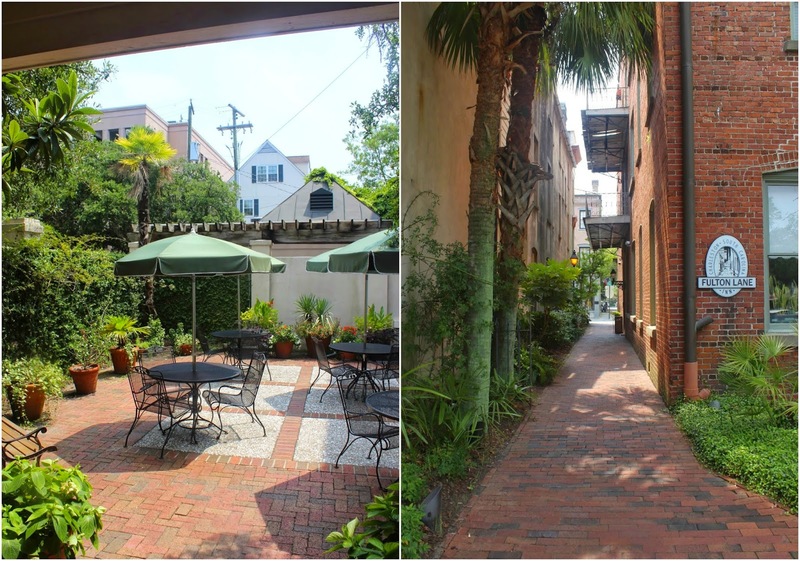 *Kings Courtyard also offers a complimentary breakfast and a wine/cheese tasting everyday from 5-6! Double bonus. We would go back to stay here in a heartbeat and highly recommend it to all of you! 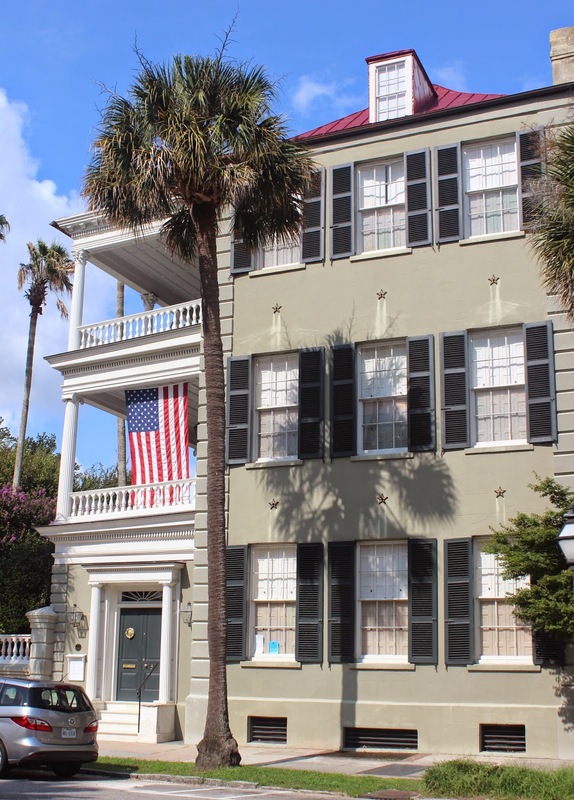 There's a large number of things to do in Charleston...the options are literally endless! We stayed for 4.5 days (3 full days with no traveling) and felt the 3 days was a good amount of time to see everything the city had to offer. Of course you could extend your stay and find plenty to do, but if you are looking for a long weekend type of trip like we were, this amount of time was perfect! This list could get lengthy so I'm just going to list our favorites and most importantly, share all the gorgeous pictures! ....you know, where all those charming million dollar estates are that you can drool over. We loved getting up in the mornings and taking a long walk in this area. It's on the harbor and is so pretty! You can also tour some of the estates (for a fee) so look into that if you're interested. ....where vendors set up and sell different goods! There are shops and restaurants on both sides of the market to see as well. We spent a lot of time in this area because it was right around the corner from our inn, so it was just a short walk away. ....$20/person, but if you check Groupon they have deals! I got ours for half price. We took one on our first night there and it was actually really cool! They have tours during the day but we didn't think they would be as good, so I'd definitely recommend the night ones. +Walk around downtown and explore! ...you don't need a set plan, just start walking around and you'll find plenty to do from breweries, touring the Old Exchange and Dungeon (pictured below with Billy standing in front of it), looking at all the charming (second time now) homes, go sit by the water, and of course go stand on George Washington's carriage stoop in front of the house where he once lived! Note: East Bay St was one of our favorite streets to walk on and explore. ...from high end stores to boutiques they've got you pretty much covered. +Go to the rooftop of the Market Pavillion Hotel for drinks and great views of the city! If you want to get out of downtown, Mt. Pleasant is a great area to spend a day (or half a day) at. Lots of restaurants in a marina area and you can kayak, paddle board, etc! I'm sure I'm missing many things to do, but these are just what we did and really enjoyed. This makes me SO excited to go next month!!!! Gorgeous photos! It really looks like an amazing city and so darn cute! The houses! Oh my word! So glad y'all had a great time in Charleston! Loved seeing all of your pictures, since we live in the area sometimes we forget to just walk around and explore. It really is so charming! I love all of this! I can't believe how gorgeous everything is! 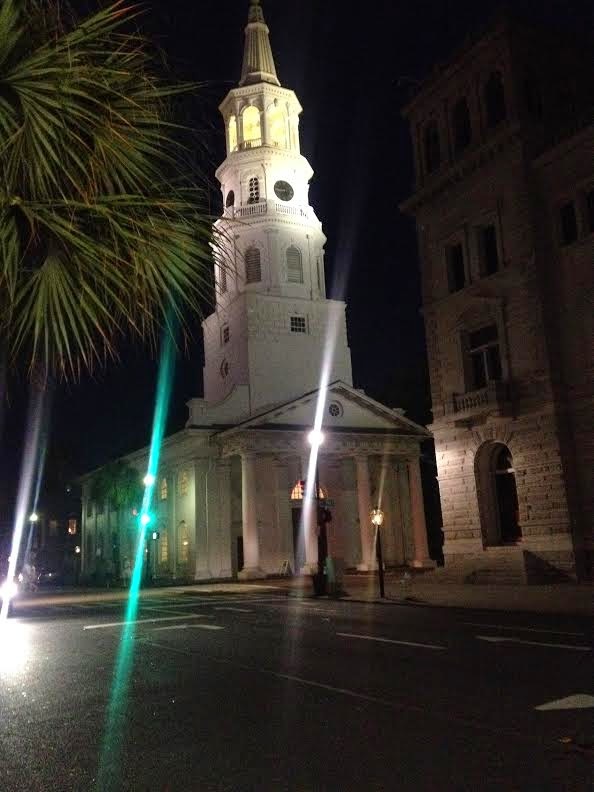 I need to put Charleston on my travel bucket list! 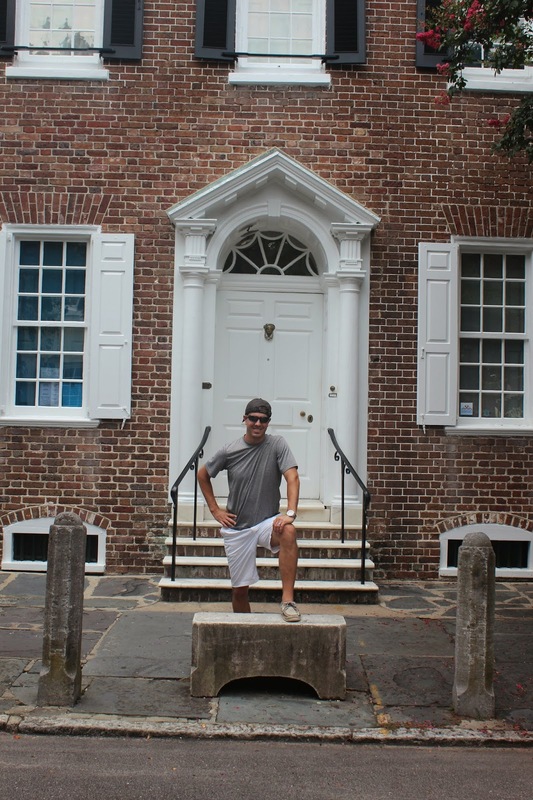 Your post took me back to our trip to Charleston a few months ago, which I still need to share my recap on...better get on it...ha! 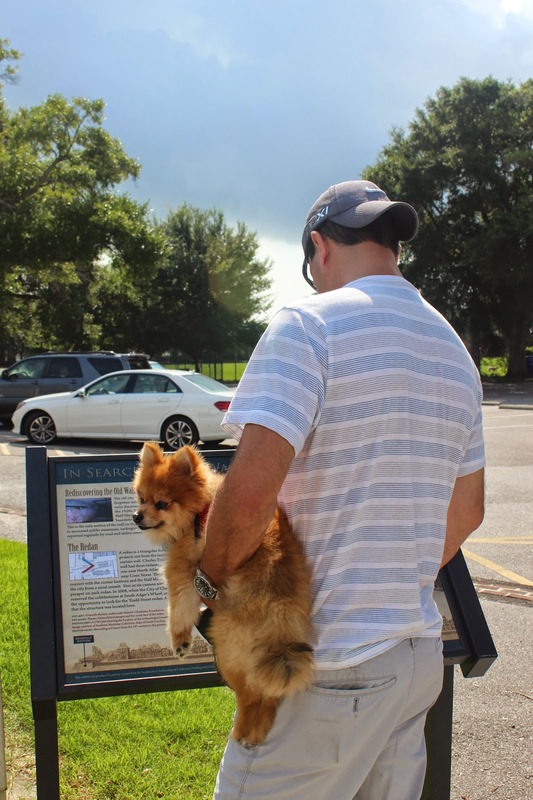 We didn't make it to Boone Plantation or the Isle of Palms, but we definitely want to go back, so we will add it to the list for next time. Looks & sounds like such an amazing time. Aside from watching Billy take in the adult bevs... I feel your pain there. 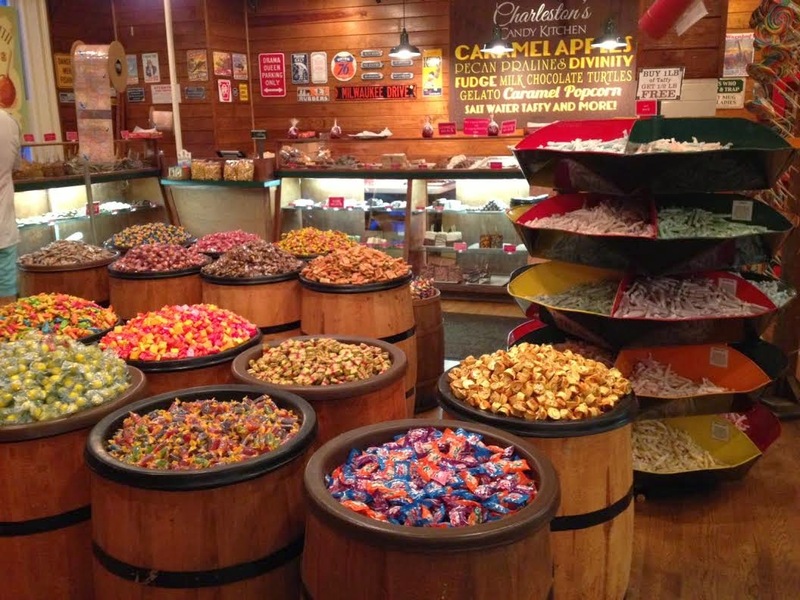 Charleston is def on my list of cities to visit & this post doesn't help the want or neeed! Lol! awww this post *almost* made me miss charleston for a sec. ;) it really is a beautiful city! glad you had fun! I definitely laughed out loud at your humidity comment. :-) I JUST chopped all my hair off last night because I was sick of dealing with it. It's rained almost every day here this summer and the humidity is ridiculous. But I can't complain too much because when I go to visit my husband's family in Michigan in the summer, I freeze! I'm glad you had fun down here!! So pretty! I'd love to make a trip there. Love that Rocky came with! Your photos all turned out amazing!!! Isn't it amazing how much this place has to offer?! I seriously could never get tired of visiting. Luckily my Aunt and Uncle plan on being here for a long time and love having family come stay. I think next time we are definitely going to take a ghost tour! Such gorgeous pictures! Glad Rocky enjoyed himself too! I loved getting to see my city through your eyes! I absolutely love it here and try to randomly walk downtown as much as I can. Oh and the humidity, THE WORST so much for ever having cute hair without TONS of hairspray! So freaking beautiful! I have got to get there some day! Thanks for sharing the great pictures. You look adorable by the way. 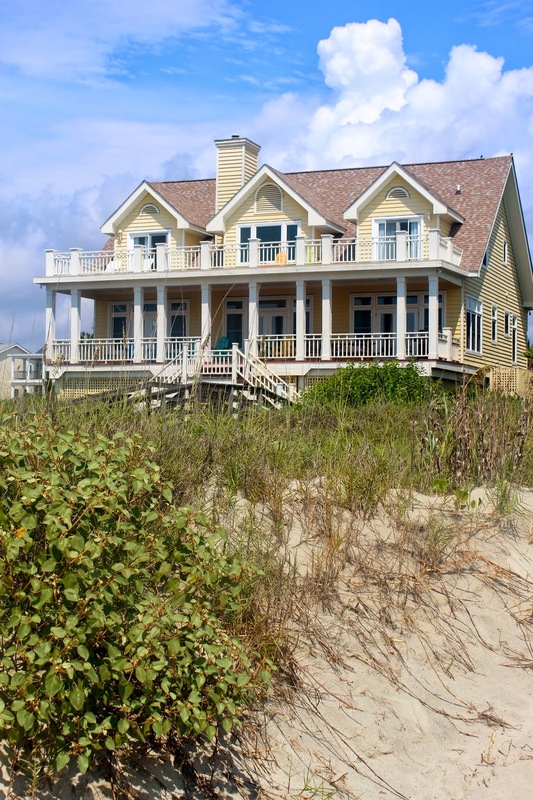 I wish we had had your recommendations before we booked our beach house in Folly! Several people told us it was "awesome" but it was a total dump! We were so disappointed! Next year we've decided it's Caribbean or bust! Charleston looks so charming & gorgeous! I'm dying to visit! 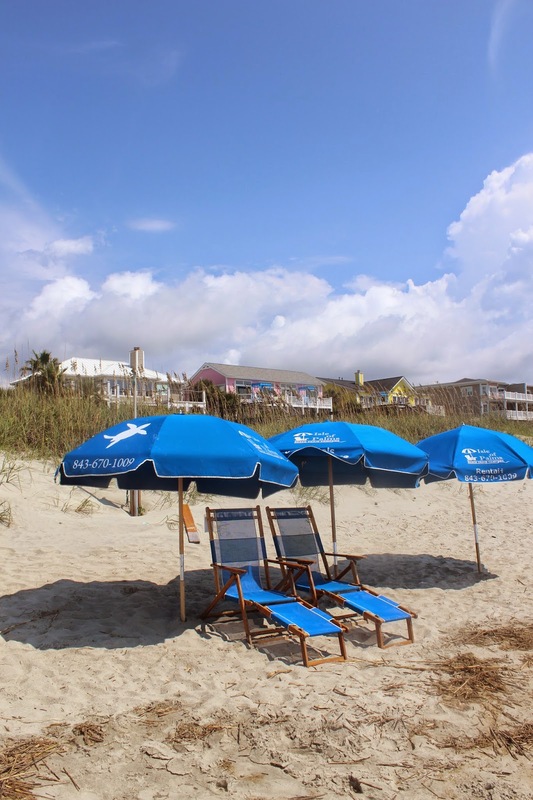 I have never really had the desire to go to SC but recently blogland has convinced me it is a must. I just want a picture in front of the pineapple fountain :) Looks like a fun trip! Hey! Y'all went to Waterfront park! We got married in front of the pineapple water fountain. 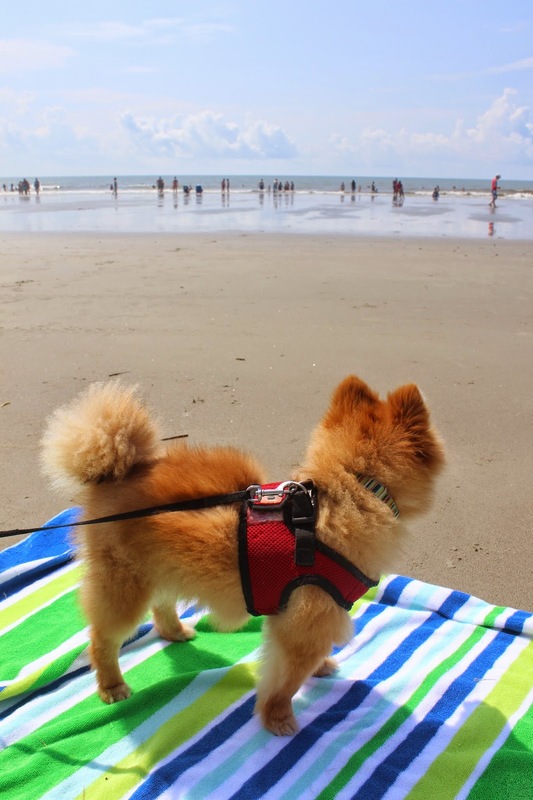 WE LOVE CHARLESTON!!! (We live here in SC, so we visit A LOT.) Actually, thinking we may babymoon there..... Looks like y'all had a great time!